Three American scientists are included among the winners of the International Awards given by the Sheikh Hamdan bin Rashid al Maktoum Award for Medical Sciences, according to an official announcement that was given recently in Dubai. H.H. Sheikh Hamdan bin Rashid al Maktoum, Deputy Ruler of Dubai, UAE Minister of Finance and the Patron of the Award, will honor the three winners in a prestigious ceremony to be held in Dubai, United Arab Emirates, on the 12th of December, alongside 13 other personalities and organizations from UK, Switzerland, Jordan, United Arab Emirates, Saudi Arabia, and Sudan. 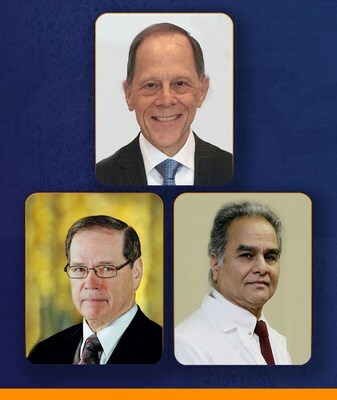 Prof. Frederick S Kaplan, from the Department of Orthopedic Surgery at the Perelman School of Medicine, University of Pennsylvania Philadelphia, USA is to be awarded the Grand Hamdan International Award for his work on Musculoskeletal Disorders. Prof. Kaplan and colleagues' investigations of the rare diseases FOP and POH have uncovered mechanisms so pathogenically fundamental to tissue metamorphosis that they have challenged existing dogma far outside the usual realm of musculoskeletal medicine. For example, they challenged the existing dogma that calcific aortic stenosis was caused by a 'senile degenerative' process and discovered that aortic stenosis is caused by an inflammatory process that triggers re-activation of the developmental process of skeletal formation. This work has led to the discovery of heterotopic ossification in atherosclerosis, with therapeutic implications for millions. Prof. Franklin Sim and his team from the Mayo Clinic, Minnesota, USA were announced the winner of the Hamdan International Award for Medical Research Excellence for the topic of orthopedics. Prof. Sim is an outstanding scientist and one of the leaders in the field of musculoskeletal oncology with a career span of 48 years at Mayo Clinic. He is world renowned in the area of bone and soft tissue sarcoma management and has authored a number of landmark publications in the field. One of Prof. Sim's major interests has been the restoration of function following limb-sparing procedures, and his work has significantly improved the current practice of orthopedic oncology worldwide. His innovative work in complex sacro-pelvic surgery has extended the indications for successful limb salvage reconstruction and patient outcomes. Prof. Sim and his team were selected for this award on the research that has been carried out on challenging sacral tumors. This research has provided new paradigms in understanding and treating these complex tumors. His team consists of Dr. Michael Yaszemski and Dr. Peter Rose. Prof. Vijay Goel, Distinguished University Professor, Endowed Chair, and McMaster Gardner Professor of Orthopaedic Bioengineering, as well as the Co-Director of Engineering Center for Orthopaedic Research Excellence (E-Core) in the University of Toledo, Ohio, USA, will be awarded the Hamdan International Award for Medical Research Excellence, for the topic of Orthopedic Mechanics. Prof. Goel made a significant leap in 3D finite element (FE) model development of the spine by identifying and adapting cutting-edge technology from a completely different discipline, stereophotogrammetry used in aerial surveying, to determine load displacement behavior of intact, injured, and stabilized spinal segments. He used these techniques to generate highly-accurate 3D mapping of the spine in the FE models. The ability to rapidly and accurately map 3D coordinates of the spine under loading conditions dramatically increased the utility of the models as a tool for analysis of spine biomechanics. Prof. Goel made the next major leap in model development by including muscle forces in the spine models, greatly increasing their predictive ability.